This novel was first published in 1993, but I’m a slow reader. Really though my elderly neighbour loaned me her copy last Thursday and I couldn’t put it down. 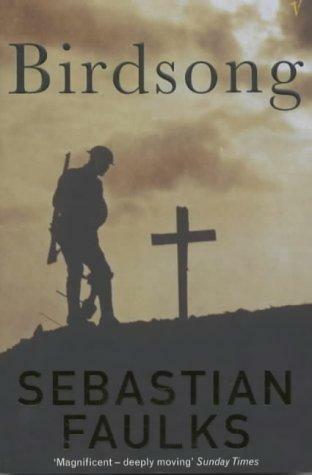 The book, without going into too much boring detail is a fiction about the life and times of a soldier, Stephen, who fought in the first world war. It tells of times before, during and after and sometimes concentrates on other minor characters who are important in Stephen’s life. This book is excellent, it’s a real page turner. I have never before found the fear and emotion expressed by soldiers as they are about to go ‘over the top’ communicated so effectively as I have in this book. The chapter where Stephen is involved in the the first day of the battle of the Somme is especially memorable as one reads and can see the disaster unfolding even before anyone has jumped over the parapet. Not all of the book is set in the war, and there are several chapters based in the 1910s and the 1970s, but these help to flesh everything out and make the characters even more believeable which draws the reader in deeper when they face certain annihilation in the horrors of the war. The only downside I could see with this book comes right near the very end: it really could have done with being a little bit longer. The entire book builds up these fascinating characters, with their hopes and dreams, but their entire lives after 1918 are summed up by an old lady in a cafe literally in about 3 lines set in 1979. ‘Oh yes, he died here, she died there, he married her.’ I found this a real disappointment after seeing what everyone had gone through and I was hoping for something more. Maybe the characters in 1979 could have found out more details as part of their ongoing investigation into their ancestors (which is what these characters were doing anyway), or even there to have been some kind of epilogue chapter to tie things up smartly. Overall, an excellent read despite the minor disapointment at the very end. Very emotional and very moving. Birdsong gets 4 chirps out of 5.